Lincoln Cemetery is where jazz legend and Kansas City native Charlie Bird Parker is buried. Lincoln Cemetery. Western Baptist Bible College. Wheatley-Provident Hospital. Compared to the 18th and Vine area, these are among the little-known locations important to Kansas City’s African American history. But they may be better known by summer. They are among some of the more 130 suggested sites for the proposed African American Heritage Trail. The trail will have a map, an interactive website and informational markers at the sites. 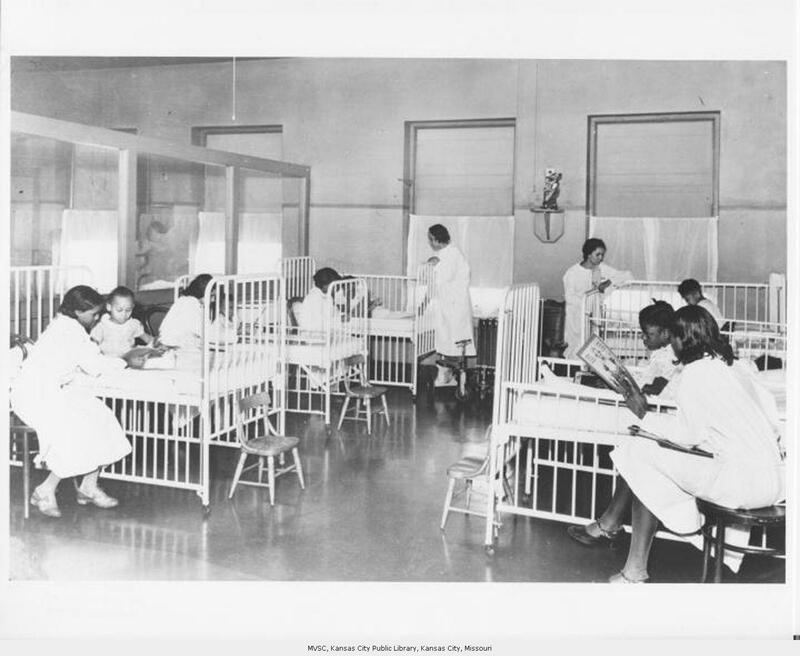 A photo from the 1930s shows the children's ward at Wheatley-Provident, the city's hospital for African Americans. The trail is for both residents and visitors to know the history of blacks in Kansas City. “If there wasn’t old school, then there wouldn’t be new school. It’s brought us to where we are today,” said resident Edith Haney-Galvin, who attended a recent public meeting soliciting ideas for the site at the Black Archives of Mid-America. Jeffrey Williams of Kansas City, Missouri’s planning and development department, which is running the project, says the goal is for the trail to be completed by this summer. It's currently in phase one, identifying the sites to be on the trail. “We’re laying a foundation, planting a seed for people to take this much further,” Williams says, adding the list grows as more of the public enthusiastically contribute to the discussion. The final list is expected to be decided on at the end of February. Pat Jordan, an arts leader who is best known for leading the revival of the Gem Theatre on 18th and Vine, says the trail is an exciting idea that would be best served by having kiosks to allow people to learn more about each particular location. “I think we need a way anyone, young, old, technically savvy or not, can quickly access the information surrounding a particular site,” Jordan says. Wyandotte County historian Chester Owens says he hopes that the African American Heritage Trail would become regional one day and incorporate the history of Kansas City, Kansas. Kansas City, Missouri's planning department is holding public meetings not only to generate sites for the trail but to brainstorm on how to best present, manage and share information about the sites once they are selected. The project is funded through grants from the U.S. Department of the Interior, National Park Service, and the Missouri Department of Natural Resources, State Historic Preservation Office. 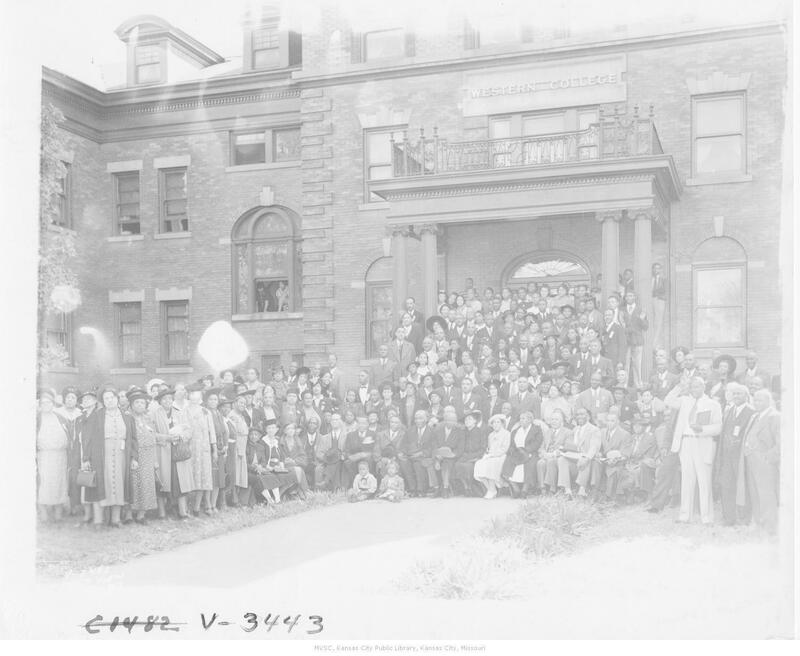 Black students pose for a photo at the Western Baptist Bible College at 2125 Tracy at an unknown time. Glenn North, director of the Bruce R. Watkins Cultural Heritage Center, is facilitating some of the small group discussions about the heritage trail. He says he hopes that as the project picks up speed, it would also attract a large number of engaged volunteers, including young people, to share information at the sites. “A kiosk is one thing, but the human touch is also necessary,” says North. The city plans to have one more public hearing to solicit ideas for sites on the trail. More information will be announced on the city’s webpage on the project. These were the words of Mamie Till Mobley, mother of Emmett Till, when she allowed the media to use an infamous photo of her 14-year-old son’s mutilated body upon his death in 1955. More than half-a-century later, a traveling exhibition inspired by Mobley’s declaration has taken up residence at the Black Archives of Mid-America in Kansas City. “For All The World To See: Visual Culture and the Struggle for Civil Rights” is an exploration of visual imagery in the civil rights era from the 1940s to the 1970s. Segment 1: Cultural shifts in smoking and vaping. With smoking banned in most public places — and vaping on the rise among teens — we look at the changing nature of smoking culture. Segment 2, beginning at 33:30: Meet the new director of an organization dedicated to preserving local history.